First of all, thank you so much to all of you who commented or sent me emails after yesterday's post. I cannot tell you how much it means to me to have you all support me in this time. Writing that post was so terribly difficult and, yet, so cathartic at the same time. Thanks so much for listening. Yes, The Happy Book. God does love a joke, doesn't He? If there's a time I've EVER needed this book it's now. 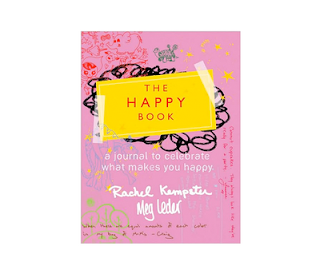 The Happy Book is about celebrating what makes you glad, what gives you joy from your heart down to the tips of your toes, what makes you quietly appreciative and full inside, or what make you feel just dang content. The Happy Book gives you the opportunity to create a living record of the things in life - friends, memories, family, foods, books, songs, quotes, ideas, dreams - that make you happy. You'll scribble, sketch, ponder, paste, doodle and play. You'll make this book your own. It's not a book to read cover to cover, it's more like a journal. Are you one of those people who loves the idea of journaling... until it's time to sit and actually write? And then your mind shuts down completely? Or does the idea of starting out with "dear diary" make you feel a little queasy? Me too. That's what I like about the writing prompts in this book. 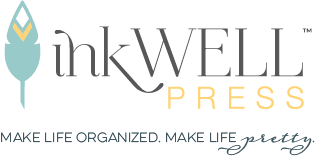 There are scavenger hunts, listing favorite smells, using finger paints and more creative ways to tap into your own idea of happiness. I cannot wait to dig in. One of the exercises is to make a list of things that make you happy - anything and everything. so I'll start... The sound of my children's feet padding down the hallway early on Saturday mornings; I close my eyes and pretend to be asleep as they snuggle their way into our bed. 1. Just comment here on what makes YOU happy. 2. If you are a follower (or become a follower) add an extra comment. 3. Tweet or blog about it - just leave an additional comment here with the link.